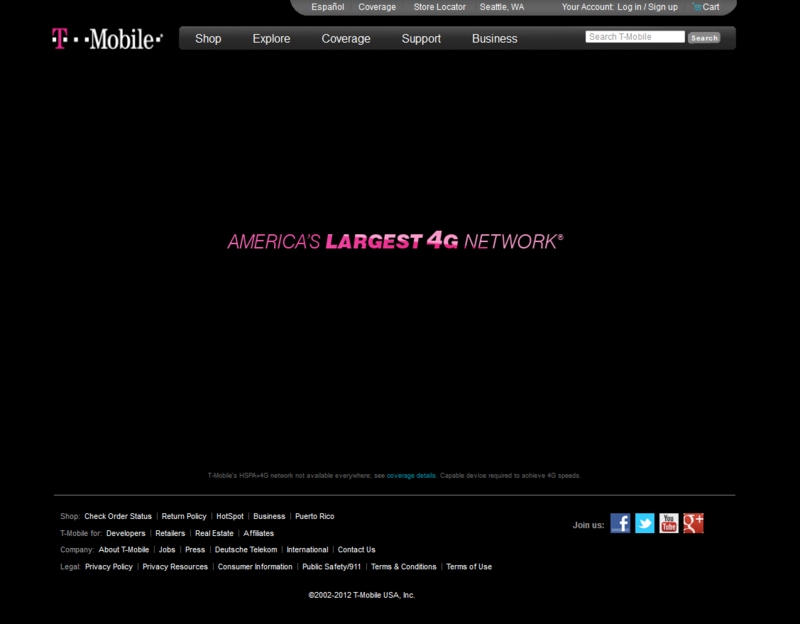 That's it - just a whole lot of void and the words America's Largest 4G Network in the middle. You can't click it, nothing happens if you wait - this is it. To add insult to injury, the url actually mentions all of their major competitors by name: http://explore.t-mobile.com/verizon-att-sprint. What?.. Who decided this was a good idea, T-Mo? We love you, as the underdog, but you're not going to be recruiting many folks with giant empty sites. Good commercial, though. This is the first in a series of ads that you’ll see over the next few months leading up to our brand re-launch this Fall. You can check it out here on YouTube …and, T-Mobile customers, feel free to watch it on the small screen over our 4G network. 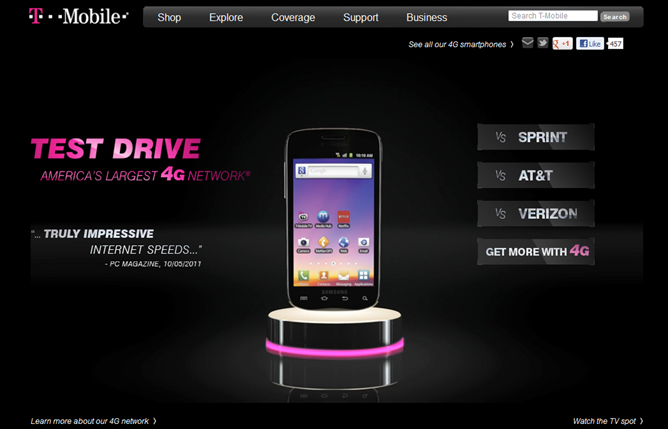 Consumers can also check out our competitive 4G experience first-hand by visiting a new T-Mobile Test Drive. The Test Drive site lets consumers check out our amazing 4G experiences by comparing the speeds head-to-head with competitors against one of the latest 4G devices running on our network, whether it’s downloading an app or streaming a movie.